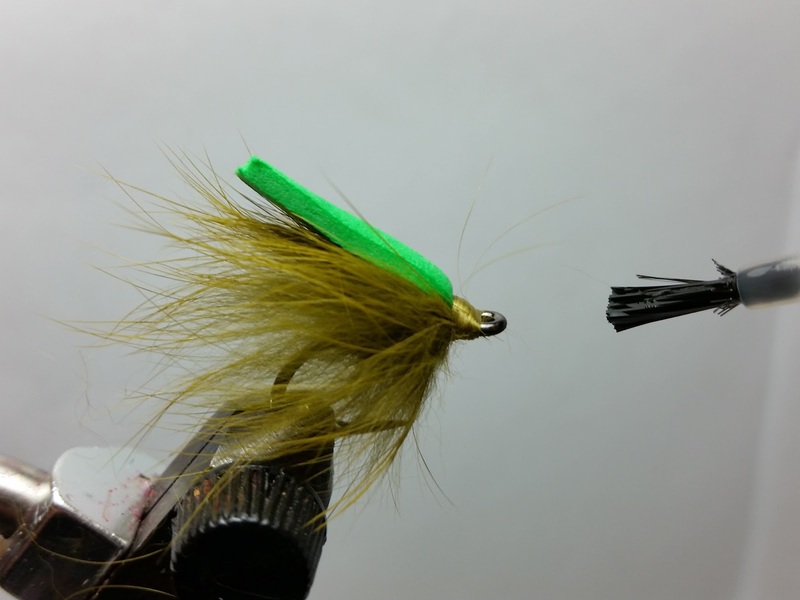 This fly looks and acts like a tasty morsel of plant matter to a hungry Grass Carp. 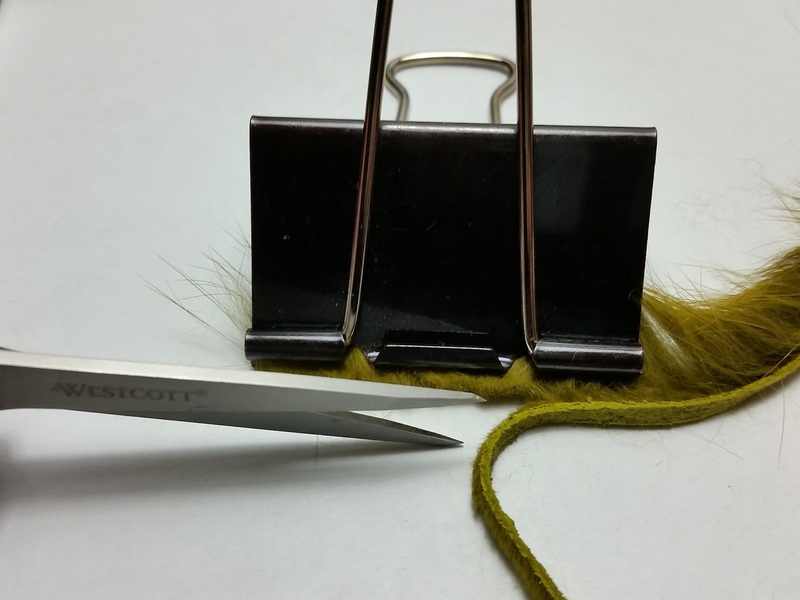 The body is made of rabbit fur without the leather. 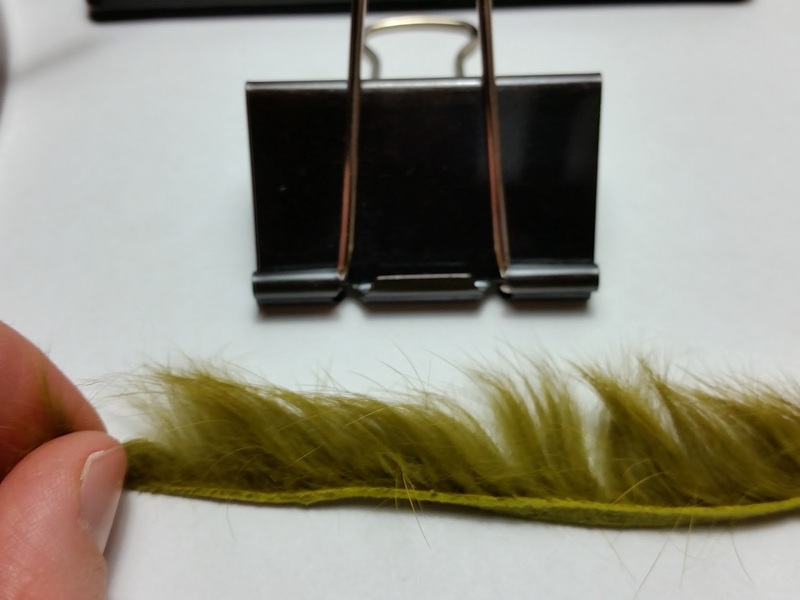 The rabbit fur is a dead ringer for a clump of algae/plant matter that gets dislodged from a rock up-stream. The lack of leather and the addition of a small wing of foam make the fly neutral buoyant or sink very slowly. The foam can be snipped off later to sink the fly if needed. 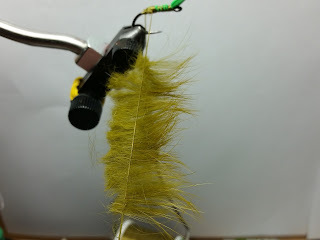 Varying the hook size will also change the sink rate of the fly. 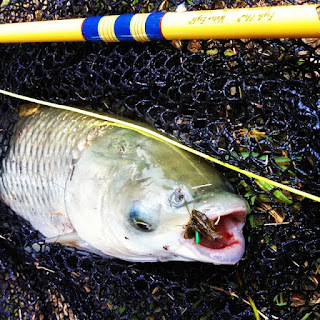 Present this fly to grass (or common) carp holding in current and actively slurping up vegetation, and hold on! Tie down foam starting above the hook barb. 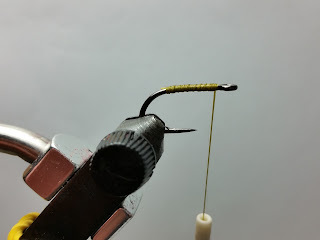 End 1 hook eye width behind the hook eye. 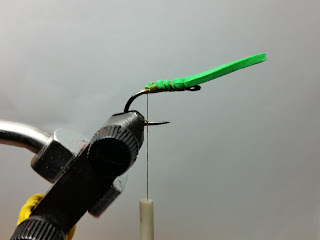 Form a 5" long dubbing loop above the hook barb. 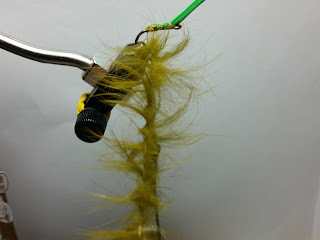 Add a little wax to the dubbing loop before adding the rabbit fur. 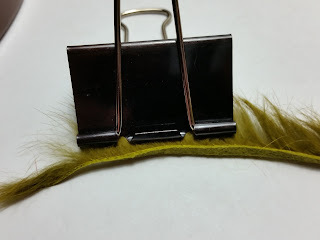 Line up your binder clip with a section of rabbit fur. Carefully pinch the fur evenly with the clip. What your clipped fur should look like. Carefully line up the fur in the dubbing loop. Spread fur out to at least 3 inches and try to maximize the length of the fur fibers by getting the but ends as close to the dubbing loop as possible. 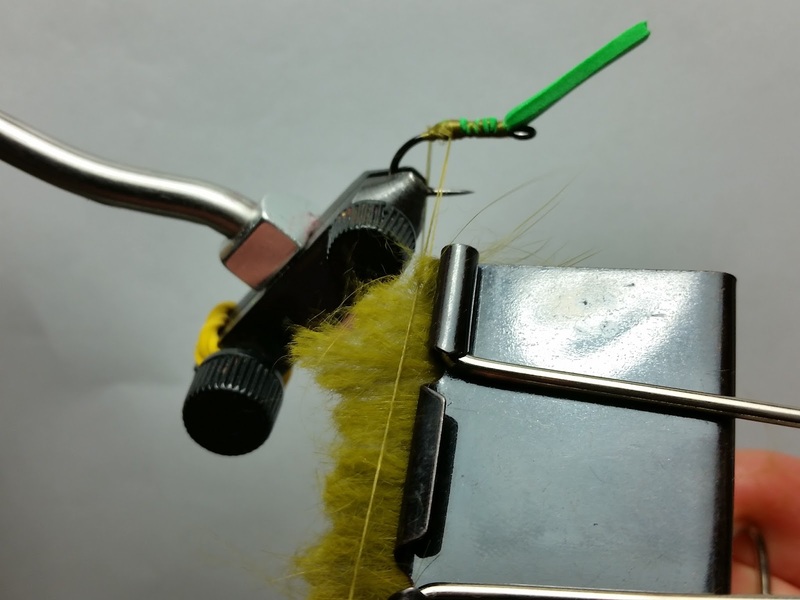 Spin that loop once you have the length you need. 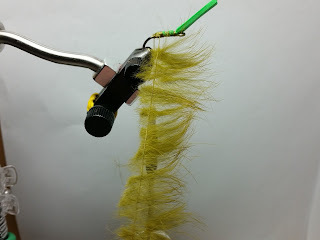 Start palmering the dubbing loop. 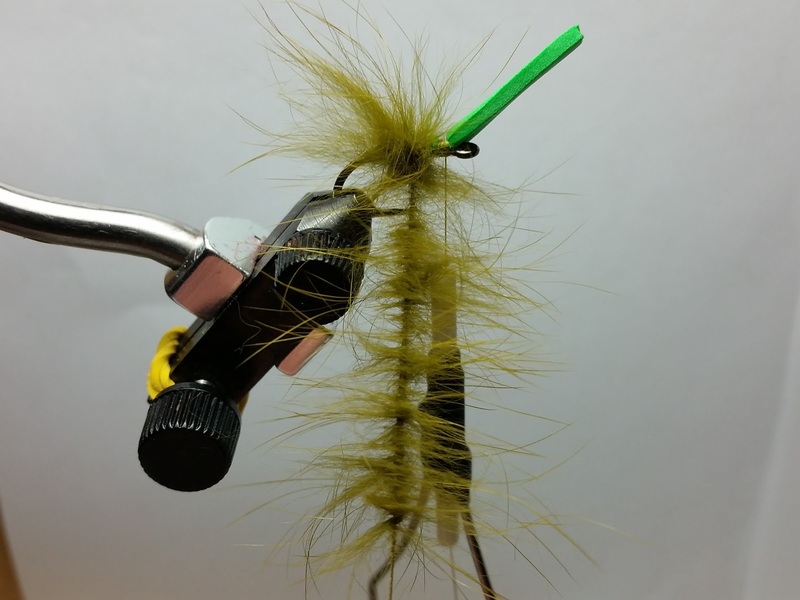 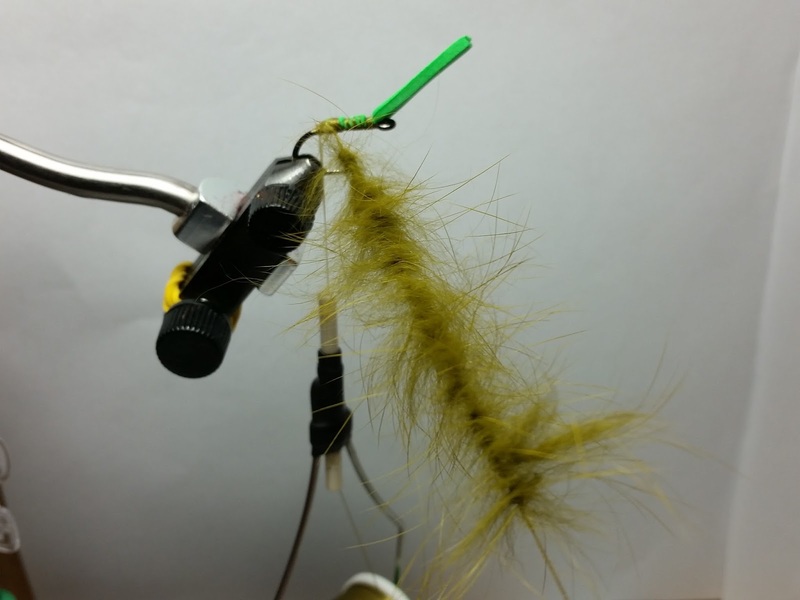 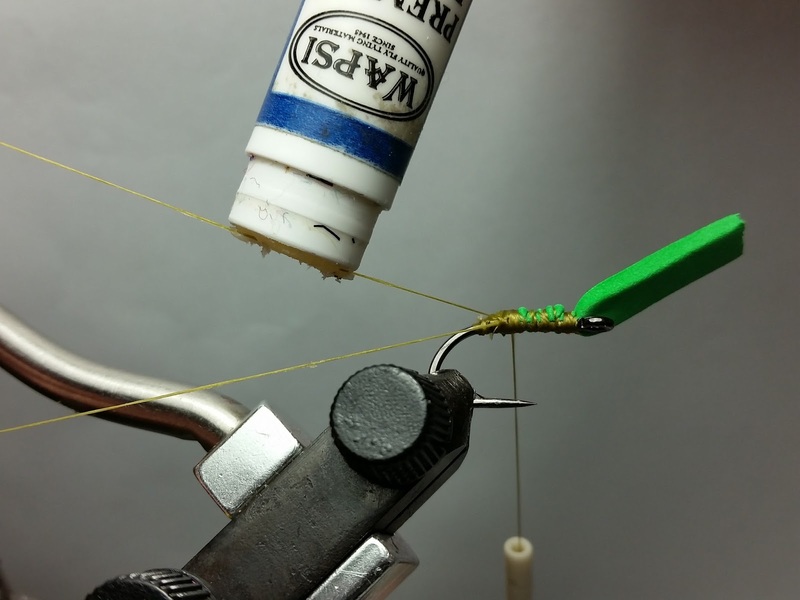 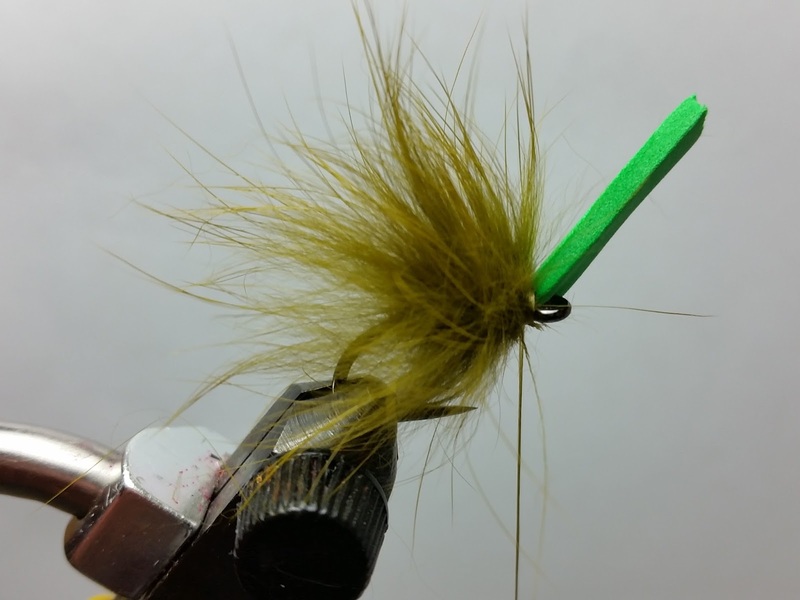 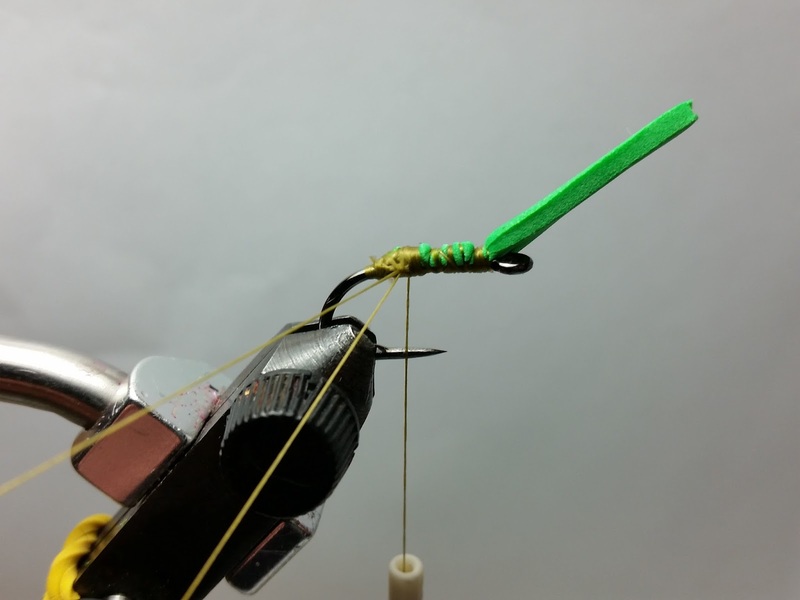 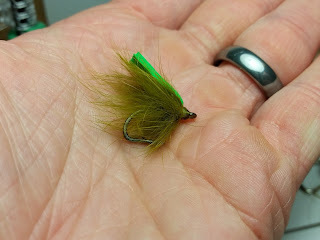 Fill the entire shank of the hook, use the whole loop, being sure to brush fibers back while you wrap to maximize the final volume of the fly. 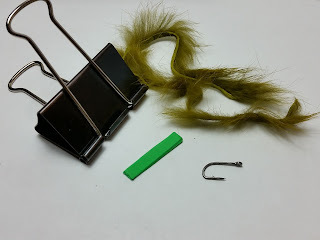 Tie off the loop at the base of the foam. 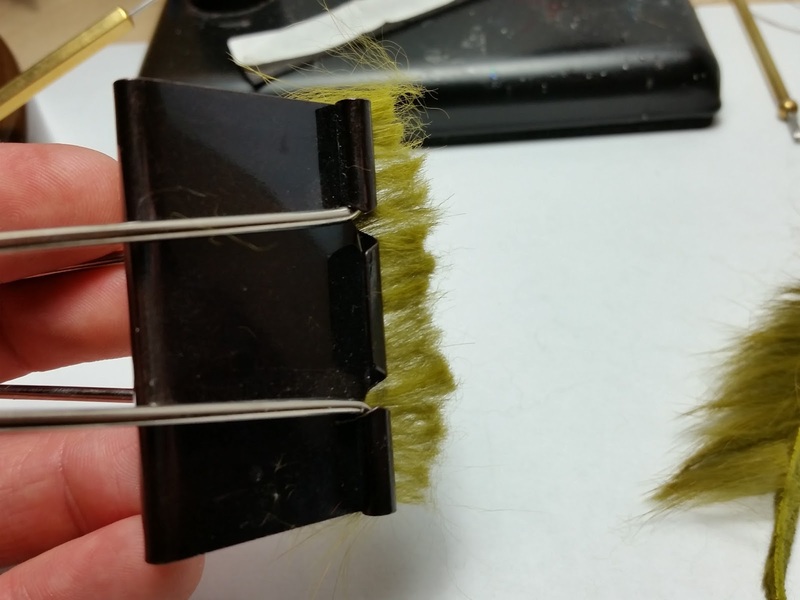 Fold back the foam and tie a neat head. Finish with a dab of head cement, I wouldn't be all that concerned with grass carp smelling this fly, and it will need to put up with some punishment.